Absolutamente sublime, genial, único. Esta senhora é mesmo um "monstro", porque Diva. 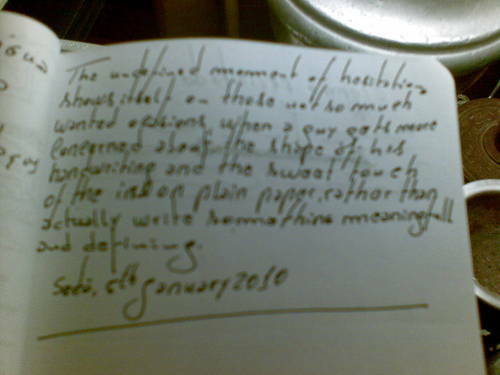 The undefined moment of procrastination shows itself on those not so much wanted ocasions, when a guy gets more concerned about the shape of his handwriting and the sweet touch of the ink on plain paper rather than actually writing something meaningfull and defining.